There seems to be no logical reason why narcissists manipulate us when they could so easily have everything we have to give without going to all that trouble. What hurts so much is the fact that the horrible things they do to us are coming from someone we love. But why? Why do narcissists want to hurt us, if we love them so much? Narcissist do not want the same things from relationships that we do because they do not view themselves and the world the same way that we do. That is the first key to understanding why they manipulate and what they get out of causing so much pain. Although narcissism exists on a spectrum, and there are many types of narcissists, each with their own motivations and methods of getting what they want, there are patterns in trying to understand the pain they cause. Regardless of which type of narcissist you are dealing with, however, it is crucial to understand the types of pain they inflict and what they are trying to gain with each type of manipulation. Because of their fragile self-concept, narcissists need others around them who can distract them from their feelings of worthlessness and emptiness. They need to be adored, flattered, noticed and admired, that is, to feed their egos, and gain narcissistic supply. Each experience interacting with others is an opportunity to gain that supply. Summary: Narcissists manipulate to receive love and attention. They also do not like to be around those who they view as critical of them in any way. This can sometimes include those who have differing opinions or challenge their view. It can include times when others focus their attention on something else or people who they view have a superior quality that draws admiration from others. When partners of narcissists express their own thoughts or values and those things differ from those of the narcissist, or when the partner expresses a desire that the narcissist disagrees with, it threatens the narcissist’s ego and may cause narcissistic injury. Summary: Narcissists manipulate to punish. Although narcissists have deep feelings of worthlessness and fragile egos, they mask those feelings with trumped up fantasies of grandiosity and arrogant superiority to others. They don’t believe that the normal rules of relationships apply to them, and, in addition, will try to dominate their partners and subject them to double standards and nonsensical rules to maintain control. Summary: Narcissists manipulate because treating us with basic dignity and respect would be treating us as “equals” and would put them at a disadvantage in their own minds. Some narcissists gain pleasure from seeing others in pain and will build up their partners only to tear them down and watch the confusion as they slip away coldly. The narcissists who inflict this type of pain tend to be the narcissistic sociopaths who at first enjoy the thrill of a new conquest, however, when the new wears off the relationship, they are not content to let the relationship settle into a comfortable routine. They have no empathy as their partners slide into an emotional breakdown one callous act at a time, drawn back in by the promise of the golden period only to be dropped into a black hole when the narcissist tires again of the game. Summary: Some narcissists manipulate simply because they enjoy it. Narcissists often do not inflict pain intentionally; they just do not care about how their actions affect other people. Although only being concerned with their own needs would make any the tactics they use result in pain for their partners, what is really resulting in pain for us, in this case, is the fact that they try so hard to keep their true motives secret. They betray us in so many ways and then offer excuses and reasons for the behavior that allow them to continue to exploit us. The result is that we may live for months or years unable to discern the fact that they are only “in it” for themselves. Summary: Narcissists manipulate because they’re hiding what they’re up to, as whatever they are doing is not in our best interests and they don’t want us to know about it because it would interfere with their ability to exploit us. 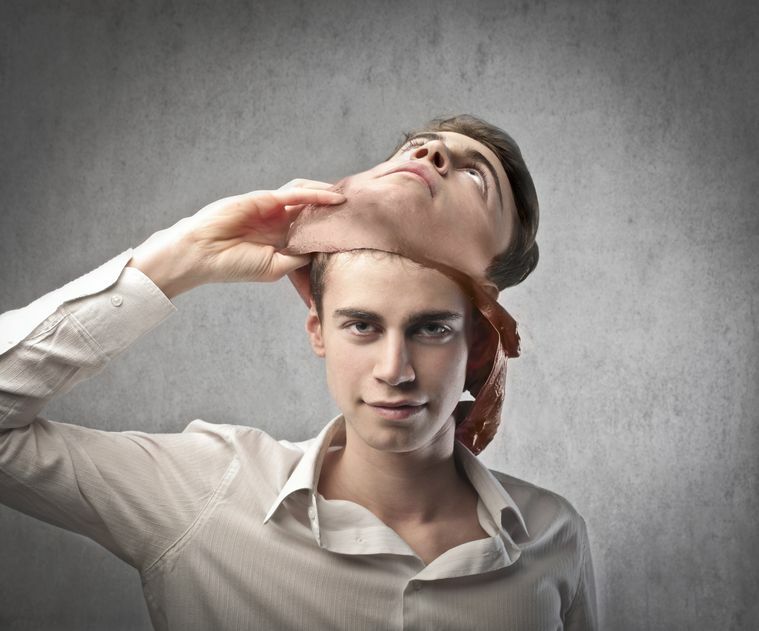 Narcissists fear the idea that others will sense that the face they present to the world is the “false self” and that what is underneath will somehow end up on display for the world to see. First, they feel they must be perfect at all times, and that if any chink in the armor shows, they are failures. Anyone who makes them appear less than perfect gets punished (see #2). But what they really fear is being seen as a lie. If they lose the ability to control the narrative of what they are because someone has seen through them or people who have compared notes start to understand the truth, then they themselves have to confront the truth of what they are. Then the emptiness inside will converge upon them and everyone around them will see it too. To them, that is the worst thing that can possibly happen. Summary: Narcissists manipulate because they’re scared of being exposed as frauds and of having others find out about the masks they are showing the world. Although the ways they behave are painful, understanding why and how they do the seemingly illogical things they do is one of the first steps toward setting us free of their manipulation. Do you want to tell your story and have it published? Go here to learn more. Kristen Milstead is a narcissistic abuse survivor who has become a strong advocate for finding your unique voice and using it to help others find theirs. Receive future posts and announcements about new resources.